Lovely animal stapler,we have reindeer,cat,giraffe,hedgehog,parrot....you can find them on our shop.You would love them!!! Each stapler was carefully carved by hand. Let you feel the charm of carving! No.10 staple is needed!But not included. As the product is hand-carved, it is inevitable to have some small defect spot,thank you for understanding. 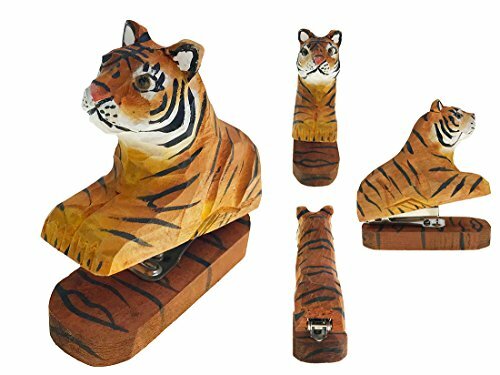 Creative animal themed stapler,children will love its lovely appearance. Easy squeeze stapling for up to 12 sheets of paper. Handmade wood carving,each stapler was carefully carved by hand. Not only a stapler,but also a lovely decoration on your desk. Perfect for children or friend gift. If you have any questions about this product by Alrsodl, contact us by completing and submitting the form below. If you are looking for a specif part number, please include it with your message.